Eagle Shores Luxury Waterfront! Absolutely stunning views of Lake Winnipesaukee. This IMMACULATE luxury offers breathtaking views, a private sandy beach, private boat dock, sauna and walk out deck. This cove is private and offers ultimate luxury. 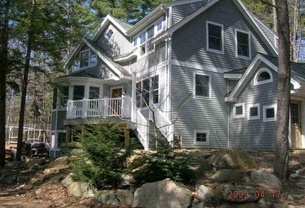 Absolutely charming vintage Lake House in Gilford on Lake Winnipesaukee with incredible views. Close to many of the Lakes Region’s most popular attractions and just a short walk to the concerts at the Bank of New Hampshire Pavilion! Vacation on Lake Winnipesaukee on Long Island in Moultonborough. Picturesque lake views with all the amenities of home. 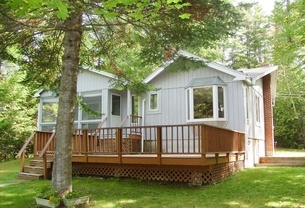 Sleeps 8 comfortably in beds, allows up to 10 guests with sleeper sofa. Lake Winnipesaukee treasure!! You will enjoy all the custom features of this home. 3 bedrooms and 3 baths make this a comfortable home for eight people. 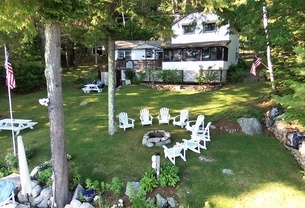 30 feet of natural shoreline and a private 32 foot dock. Charming waterfront home on Governors Island in Gilford. 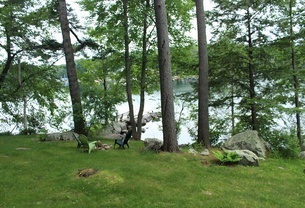 Come enjoy your summer vacation among the pines and watch the boats go by. Nice dock with stairs on the side into the water. Sloping grassy yard down to the waterfront with wonderful views. Take a look at this superb hidden treasure on Advent Cove in Meredith! This luxury waterfront home on Lake Winnipesaukee is sure to amaze everyone with 8200 square feet of living space, 7 bedrooms, 7 bathrooms, full bar, apartment, hot tub and more! Take a look at this wonderful vintage style waterfront home on Lake Waukewan, with sandy beach and fire-pit! Take in the amazing views and sounds of the loons from the relaxing tree swing or from the huge screen porch this home has to offer you. Breathtaking views of the lakes and mountains await you at this exceptional Lake Winnipesaukee waterfront home. This home features a main floor master bedroom with king size bed and en suite bathroom, and 4 bedrooms and a full bath on the second floor. 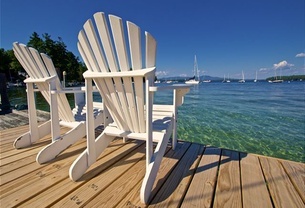 Deck over-looking Meredith Bay's gorgeous views of Lake Winnipesaukee! Room for the extended family here with 7 bedrooms, 3.5 baths on three levels! Large enclosed porch adds as an extension of the living room...then on to the lake! 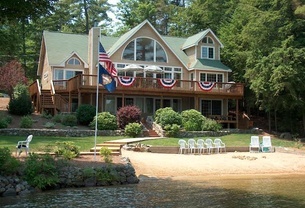 Secluded Winnipesaukee waterfront home. 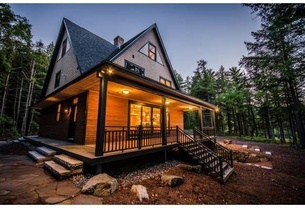 This home sleeps seven people and offers, three-bedrooms and 1.75 Bathrooms. All bedrooms on main floor with a queen in first bedroom, full in second bedroom, and bunk bed with a twin in third bedroom. Pictures do not do this amazing rustic family compound justice (not just an expression in this case). One of the Bayside Team’s favorite homes, this slice of heaven is situated on a wonderfully private, lakefront lot in Meredith. Situated on 25 acres with 1150 feet of waterfront on Lake Pemigewasset, this custom home blends an Adirondack feel with a cape cod inspired design. 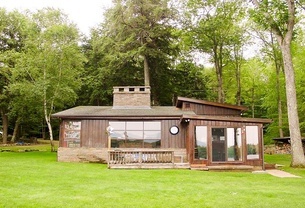 Rare gem of a property with high level of privacy and quality. Enjoy this delightful 3 bedroom,1.5 bath waterfront cottage located on a smaller lake that offers a ton of bang for your buck. Take in all the beautiful views facing Red Hill right from the deck!